In summer all the time (but especially summer! 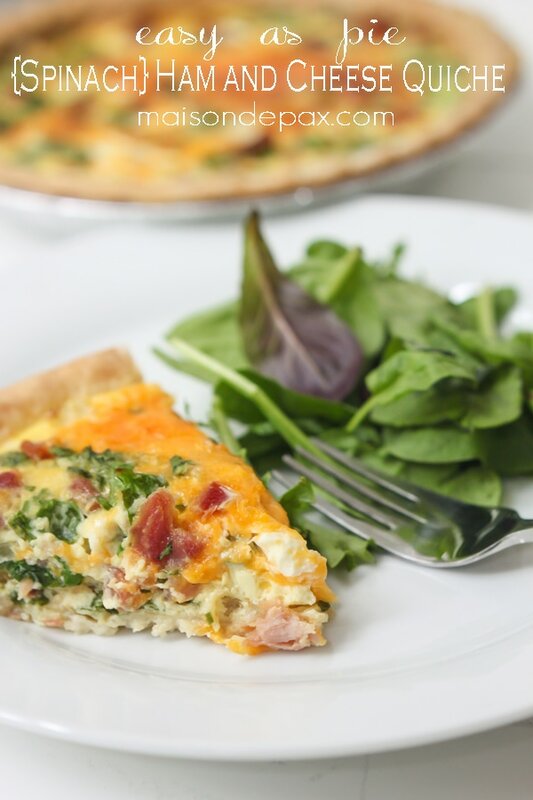 ), I look for delicious, healthy, no-fuss meals for my family, and this ham and cheese quiche fits the bill perfectly. 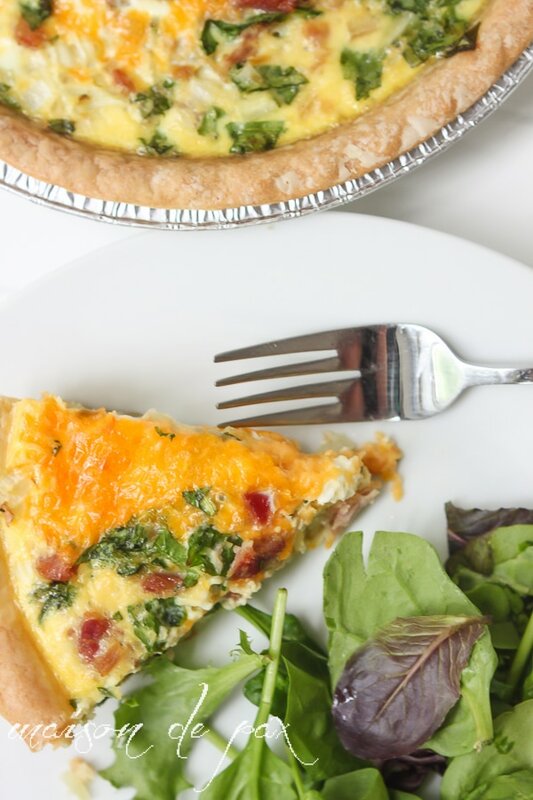 With spinach, ham, and cheese – and only 10 minutes of prep! 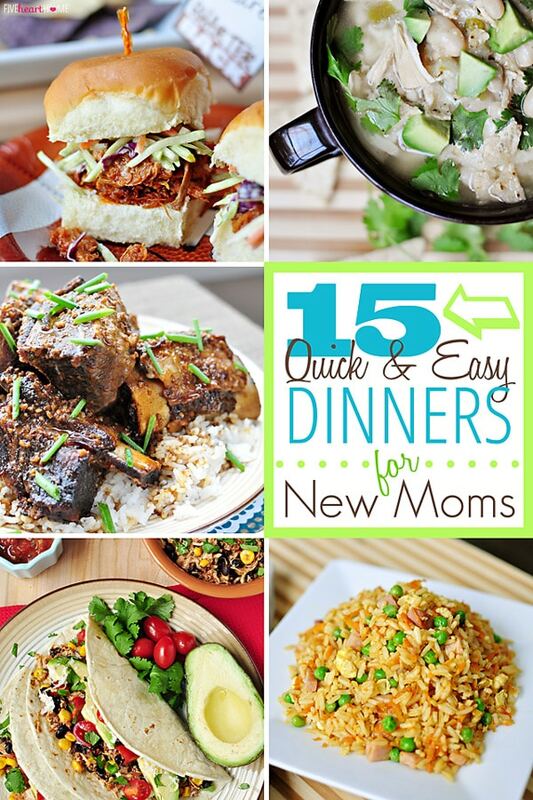 – this easy meal is sure to please parents and kids alike. And don’t be intimidated. It really is as easy as chopping three ingredients, stirring three more ingredients, and pouring. 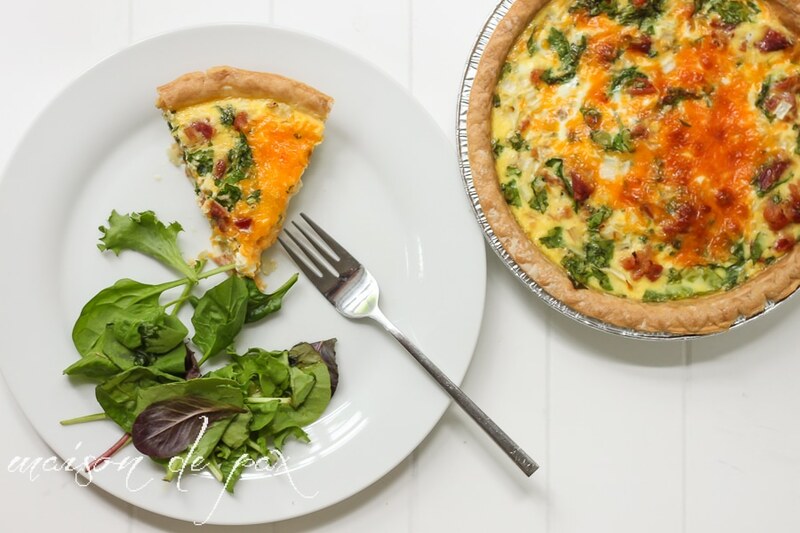 Quiche feels so fancy and French… but I love that in France, it’s more the equivalent of a hot pocket: fast, portable, and informal. 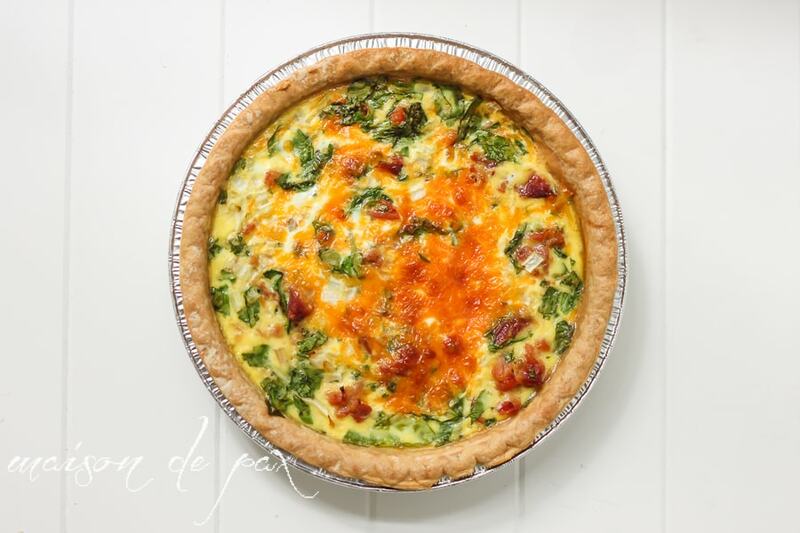 When we lived in Paris, I was not alone in grabbing a quiche from a local bakery window and eating it on a street bench between my errands. 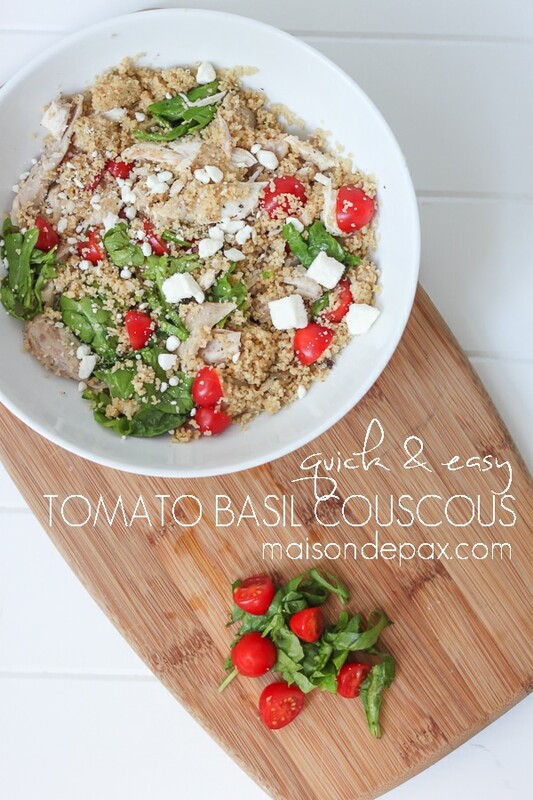 So much healthier, fresher, and more delicious than many of our go-to fast foods here! I love this meal now because I can make them as far in advance as I like (they reheat in the microwave perfectly, but they’re also good cold or room temperature! ), pair it with fruit or salad, and call it a full meal. 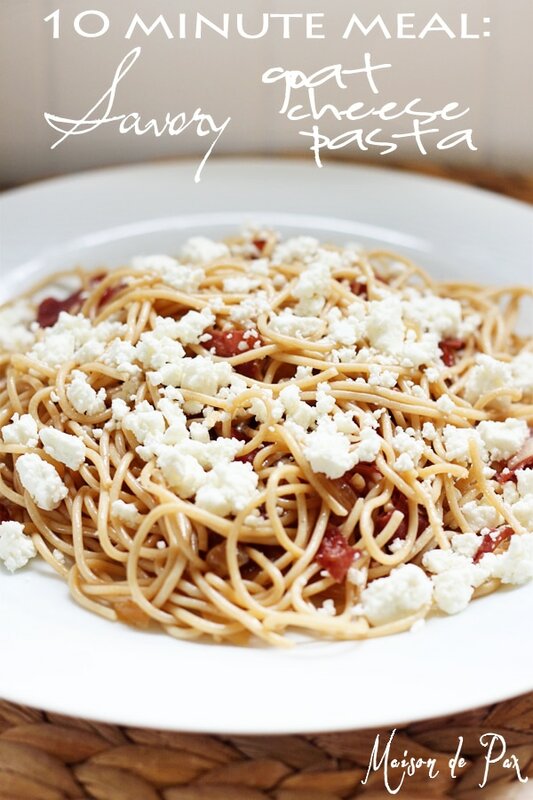 It’s perfect for al fresco dining on our back porch – so portable and simple, and my boys beg me for the leftovers for lunch the next day. And cleanup? Just throw away a foil pie pan. My kind of finish! 1 c chopped ham leftovers work great! I've even used lunch meat in a pinch. Bake empty pie crusts 5 min. 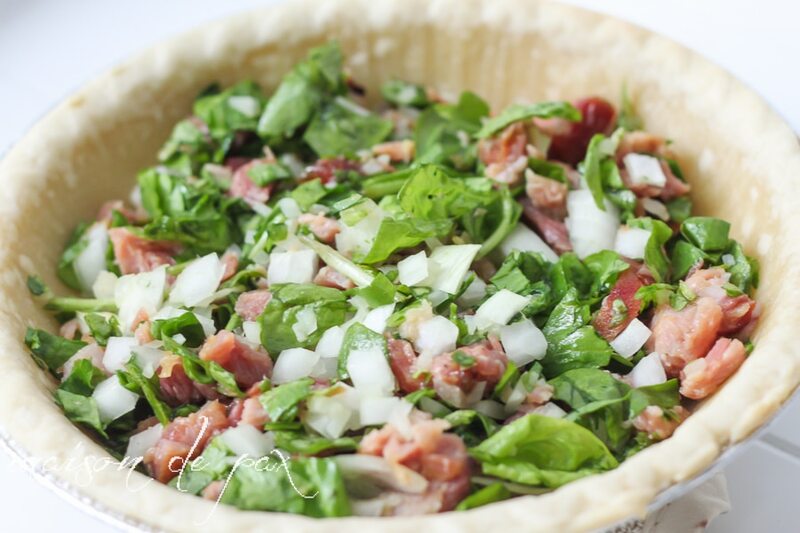 Combine the chopped ingredients (ham, onions, spinach) and place half of mixture in bottom of each pie crust. 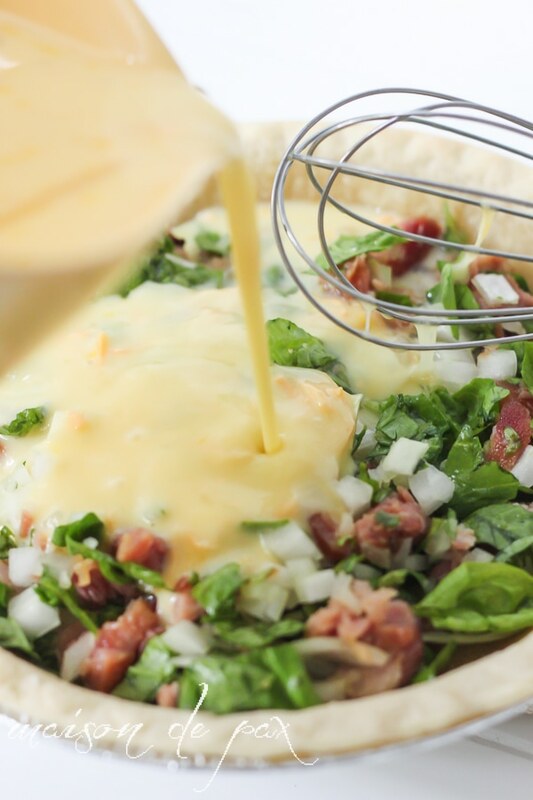 Combine eggs, milk, and cheese in a bowl and whisk to mix. Pour dairy mixture over chopped ingredients, evenly dividing between the two pie crusts. Bake at 425°F for 15 min. Reduce oven to 300°F for 30 min. Remove from oven, allow to cool, slice, and enjoy! Looks like a delicious lunch, or brunch. We are a quiche family and in order to cut calories I have stopped using pie crusts. 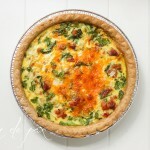 I have a baking dish from Pampered Chef and its great for quiche. I simply dice a large onion and brown in butter and coat the bottom of the baking dish. Then I add the ingredients one by one and pour egg and milk mixture over the ingredients. Good stuff and it cuts our calories in half. Add a salad and waa-laa…..a french meal for sure. Thanks for the dinner idea. 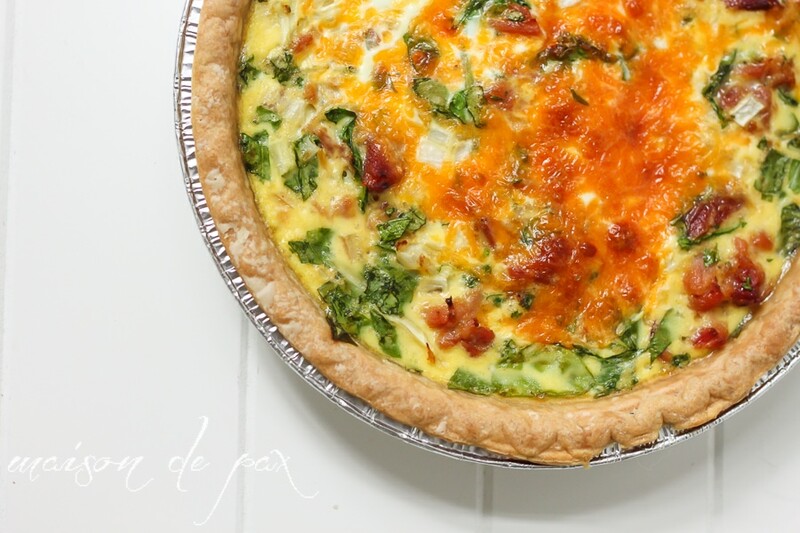 My husband and I just loved this quiche! Do you have the nutritional information or calories? I’m so glad you like it! Unfortunately, I don’t have nutritional information. I’m so glad you enjoyed it, though!